You will receive the activation/transmission via an audiofile that guides you through the gateway, in your own time and space. The activation is encoded with the codes and frequences for all time and are effective whenever you receive it. In this time of the New Earth it is Mother Mary that step forward as the embodiment of the “Divine Mother” and open the door of light to show us the way into the new Cosmic Universal Love Consciousness. She, the mother of all, show us the way to Embrace All. She who is the softest silence, the deepest intimacy. The Divine Mother belongs to humanity and we belong to her. She is the Beloved with no face, nor form. She holds a power that is yet truly to be seen. In the Divine Mother Rose Heart transmission you are invited into her etheric crystal temple of Divine Love to embrace your magnificence and your divine destiny, and to receive the threefolded flame ignited within our hearts, reconnected our hearts with the Heart of Mother Earth and the Cosmic Heart of Mother God, and receive an initiation of the new codes and energies of Divine Mother and One Unified Heart. Follow the link below, add your your details and the name of the activation. and we will send the activation with instructions to you by email. This is an activation to open to your Zero Point and receive the New Earth codes of Golden Cosmic Consciousness in this portal and gateway of Completion 333. There has been a huge opening portal and gateway for the new Solar Photonic Plasma Golden and Diamond Light Consciousness that is coming down and into our cosmic gateway up in the North. 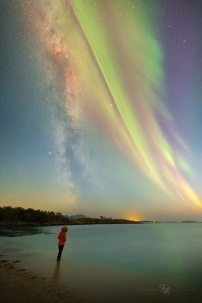 Here is the portal where these Light Codes and our Milky Way Galaxy merging. The Northern Light has increased and expanded bringing all the new codes of this golden diamond light down to earth. This is the time where the planet has shifted into the 5th Dimension and now all the old timelines dissolves, and new higher opens. It is still a time of purging, clearing, cleansing the old to receive the new. Through this transmission our lightbodies, cellular bodies and our body TEMPLATES are being "realigned" through electro-magnetics and "new codes" housed in our dormant DNA and our whole BODY is waking up to come into alignment with the New Earth vibration. It is here in this zero-zone where the physical and spiritual meet, unite and merge into one. In this zero-point - in this NOW moment - you can let go of all old karma, false beliefs, programming, masks, ancestral woundings, identities etc. The universe is calling for authenticity, and now is the moment you can choose to step up. The whales come from an old lineage - "Golden Dolphins & Whales". They carry the unique frequency that is essential to go from duality to unity. They are high light beings who keep the frequency of divine unconditional love and harmony throughout the creation. Through this activation and energy transfer you are invited to receive these frequencies, vibrations, codes and divine love and light from the "Dolphins and whales of Sirius B". This activation and energy transfer is reviewed by the "Sirius Star Council of Light", through these you receive the transfer and activation. 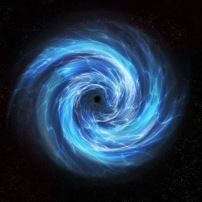 The portal that is opened is from Sirus to activate your womb heart / hara heart and to connect with the golden dolphins and whales from Sirius. They help us remember our origins - that you are a part of "One Unified Heart" and your own divinity. It is now time for you to remember why you are here and activate your codes of your soul's purpose to be in service. Through this activation, you are invited to the Temple of Service to activate codes of your soul's purpose, expand to soulmissions here on earth and anchor your original blueprint. You will experience your next level of I AM consciousness, activate your original DNA blueprint in your womb heart / hara heart, unite into the Love Consciousness and into the 5th, 6th and 7th dimensions of Unity Consciousness. You experience this activation through Gaias Unity Grid embraced by Divine Love so that your soul can choose the Path of Love fully and activate your inner knowledge that you ARE Love. New energies keep coming down to earth, energies that have never been here before. We embody new frequencies and upgrade our entire system. These new energies come to help humanity in this important time. One of these new frequencies is the Pink Rose Flame. It is through the Temple of Humility, the Temple of the Pink Love, which illuminates the way to Divine Love. This transmission is held by the Sisterhood of the Rose and the Star Council of Venus and Mother Mary's Temple. 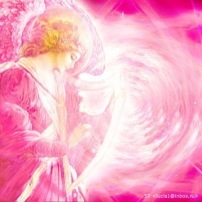 Pink Rose's energy - Pink Rose Flame - is an aspect of the divine feminine of every person, in men and women. Pink Rose carries the qualities of unconditional love, humility and acceptance. 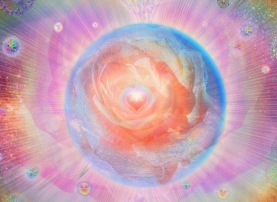 Pink Rose is a powerful frequency of divine love, unconditional love. 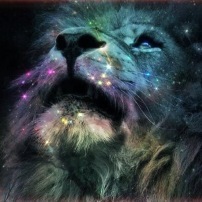 The Lions Gate is a portal where you can embody more of your Divine self into your physical form. The strong energies that come through the lion gate help Gaia as she travels into a higher frequency and into the higher dimensions. This portal will bring along high frequency light and sound waves and codes from the Central Sun and from Sirius. As we step in and through this portal – The Lion Gate - you will open to anchor yourself even deeper into your purpose into your lineage, into deeper humility and love. As we open and step through the lion gate - we open for a deep remembering. This Lion Gate is an important portal in our steps to release the old paradigm and step into the new era. This activation helps you clean and clear old negative energies and blockages and open up for a higher vibration of love, wisdom and truth. In this zero-point - in this NOW moment - you can let go of all old karma, false beliefs, programming, masks, ancestral woundings, identities etc. The universe is calling for authenticity, and now is the moment you can choose to step up. 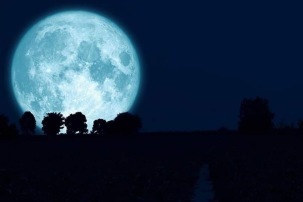 In this full moon transmission we will journey to the Great Central Sun and step into the Crystal Stargate and tapping into ancient teachings, ancient wisdom and knowledge together. 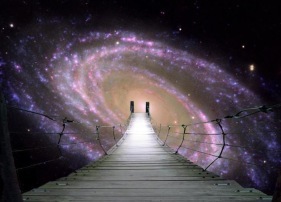 We activate our Starseed DNA and deepen our embodiemnt of our Soul through the higher timelines of Divine Love. The transmission is overseen by MotherFather God, White Rose Council & Sisterhood of the Rose. These stargates help us to open up to attune to the new Earth Templates of the New Time and to the Higher Divine Love frequencies that we can receive at this time. All of these new activations of Divine Love in this New Time is to help you to come into a place of unconditional love and self-love, so that you do not need to seek and look outside of yourself anymore, to increase a deeper feeling of love, trust and peace inside of you and to increase your service to our beloved Mother Earth and all of humanity. Mary Magdalene is our holy sister and the holy feminine vibration of the Christ consciousness. She walked in human form the Path of Love here on Earth in union with her beloved Yeshua. She has come back to all women in the world to guide and teach us the embodyment of the essence of the Sacred Feminine in her many different faces. How the energy vibrates in every cell and changes us forever. She helps us discover, open, embrace & heal our deep feminine wounds, as she herself too carried them, and the way beyond and through into a higher vibration and into embodyment of the Sacred feminine, an imortal journey through her wounds and into the purest love, deepest Womb Wisdom, purety, innocence and fierceful power expressef from love, in a holy and Sacred way, our true feminine expression. She was a fully embodied women with an open WombHeart, she was a mother, she was wild and passionate. She was purety and innocence. She IS Wisdom.